With this ever changing weather, it feels nice to relax and enjoy the day with a bowl of hot soup and a good book. 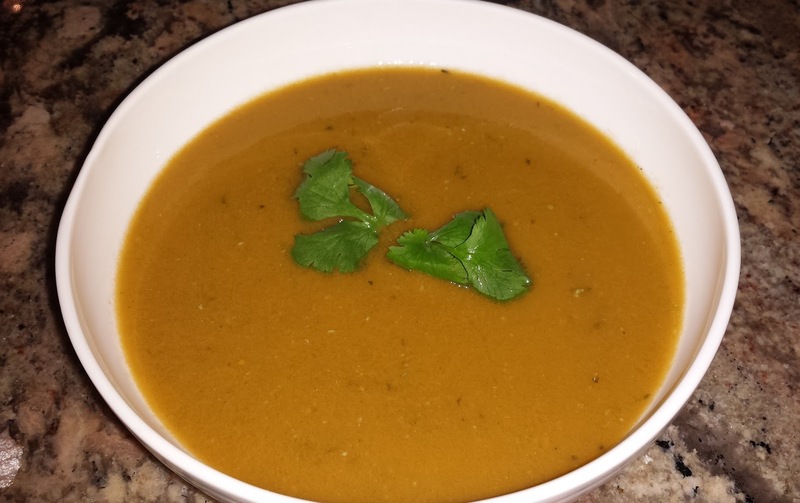 Check out our spin on the traditional "rasam" dish, which we turned into a soup. Let us know what you think. Mix corn starch and water. Place all ingredients and starch mixture into a blender and run until it is a smooth uniform liquid. Transfer the liquid into a medium saucepan and bring to a boil. Switch off the stove and serve hot. - We used our Vitamix blender (Smoothies option) for blending all the ingredients. - For more "rasam"/soup recipes, click here. Whenever my sister visits, my mom likes to teach us something new; a dish that will be easy to make and doesn't require a lot of ingredients. Today, we learned how to make Methi Malai Mutter using Rasoi Magic spice mix. Using the spice mix reduces time spent in the kitchen and the need to have so many ingredients. Mix the entire packet of spice mix with milk until well dissolved and keep aside. 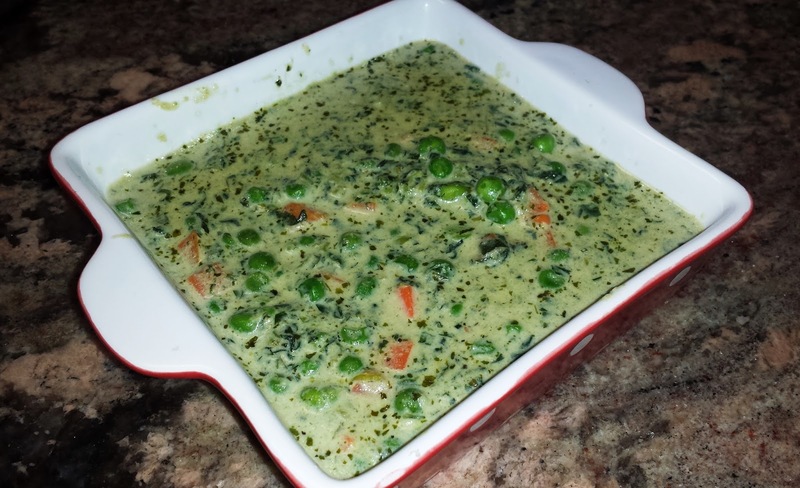 Microwave the frozen carrots and peas and methi for two and half minutes and set aside. Heat oil in a saucepan and fry methi, peas and carrots for 2 to 3 minutes. Now add the spice mix mixed with milk and cook till the gravy thickens. Serve hot with rice, roti or naan. Our Review: We would definitely recommend all to try this product as it was easy to use and make. It is low in spice level and you can easily make it spicier by adding chili powder or garam masala when frying the vegetables. We enjoyed eating this curry with rice and roti. We look forward to trying more recipes after using this product by Rasoi Magic. - The spice mix is made of skim milk, onion, sugar, cashew nut, salt, coriander, garlic, rice flakes, whey, Fenugreek leaves, corn starch, and other spices. - If frozen methi is not readily available, you can also add green bell pepper or French cut beans; making sure they are cooked or microwaved for enough time before adding the spice mixture. This Valentine's Day surprise your "sweetie" with sweets that don't break their diets! Go the distance and make something healthy for your loved ones. 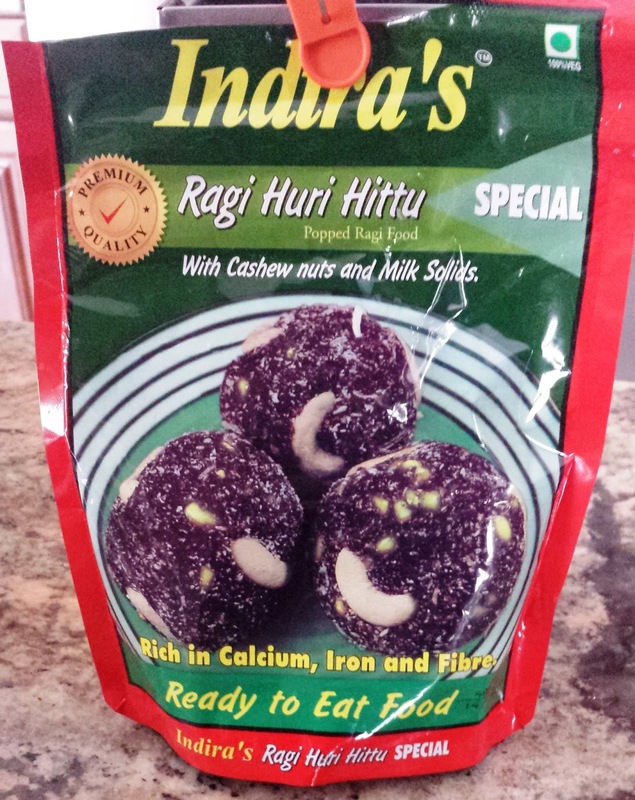 Ragi Laddus made with Indira Foods Ragi Huri Hittu Special are rich in calcium, iron, protein, fiber and gluten free. 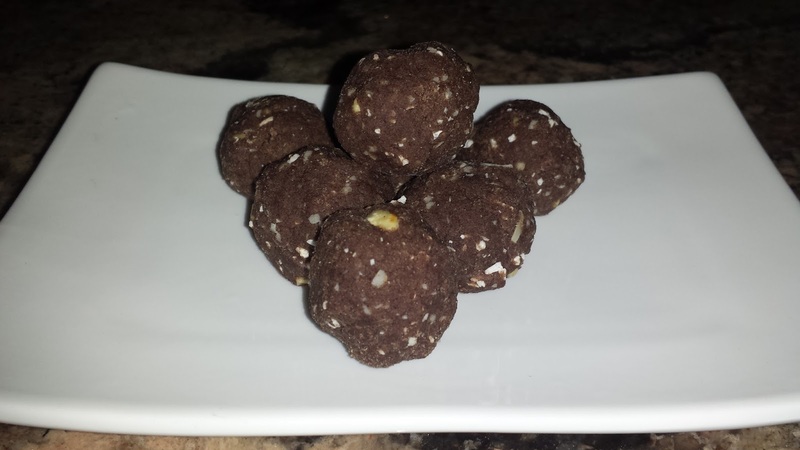 These laddus or balls can be enjoyed as a dessert or for breakfast. The mix contains popped ragi (finger millet) powder, sugar, dried coconut, cashew nut, milk powder, cardamom and nutmeg. It is very easy to make these laddus with this mix. For every cup of the mix, you add 1/2 cup of milk and mix into a dough like consistency. Then you roll into lime size round balls. 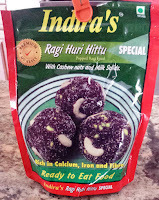 - Indira Foods Ragi Huri Hittu Special can be purchased at most Indian grocery stores; we bought ours from Patel Brothers. For other gluten free dessert ideas, please check out Ricotta Kalakand (milk sweet) and Mango Rice Pudding. Wishing you and yours a Happy Valentine's Day! !